A short lived (3-5 yrs. ), native, cool season bunchgrass with good seedling vigor, rapid establishment, and moderate palatability. 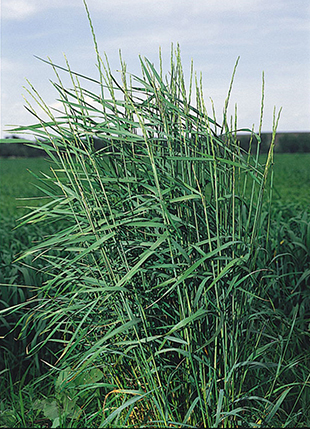 Slender Wheatgrass is a valuable species for mountain revegetation in areas with 10″ or more of precipitation. A valuable species for mountain revegetation in areas with 10″ or more of precipitation. This species is shade, salt and alkali tolerant. Grows up to 13,000 ‘. Stems have a characteristic reddish to purplish tinge at the base. A short lived (3-5 yrs. ), native, cool season bunchgrass with good seedling vigor, rapid establishment, and moderate palatability. Slender Wheatgrass is a valuable species for mountain revegetation in areas with 10″ or more of precipitation. This species is shade, salt and alkali tolerant. Grows up to 13,000 ‘. Stems have a characteristic reddish to purplish tinge at the base. Cool season grasses begin to grow early in the spring and continue that growth while cool temperatures and rain prevails. Mid summer when the temperatures get hotter, these grasses typically go dormant, often “browning out.” Some cool season grasses even die back in the summer, leaving seeds to germinate during the next cool season. These grasses are best seeded in the early spring or late summer/early fall. They usually germinate and establish quickly. Their foliage color looks best during late spring and early summer. Pricing is for San Luis variety, please call for pricing on other varieties. Small Areas: 3-5 lbs. per 1000 sq. ft.